This week, I stumbled upon a remarkable, unique community called House of Genius. The community started three years ago, in Denver, Colorado and now has a presence in over 25 cities around the world. This week, I went to the Brooklyn location, held at DUMBO Startup Lab and sponsored by TriNet. After that first round, a moderated discussion is opened up where the presenter can work with panelists to dive deeper into particular areas of interest. At the end of the evening, everyone goes around the room and talks about who they are and what they do. First names only at the start. House of Genius works best when we have a diversity of perspectives and where people candidly share their ideas freely and without filtering or ego. We ask attendees to refrain from disclosing their backgrounds at the start of the session so that ideas are accepted at face value and to encourage everyone to contribute equally. We don’t publicize the topics for discussion ahead of time to guarantee immediate reactions and fresh ideas. Our format encourages attendees to lend their unique insights to problems that may be outside their fields of expertise — a crucial ingredient to gain novel perspectives and create innovative solutions. Inject more of myself into the website. Expose more of my foibles as a pseudo adrenaline junkie. Extreme sports can be intimidating, and I can frame the website as a kind of this-is-how-you-do-it, get-your-toes-wet experience for users. One participant likened Nerve Rush as the Crunch Gym or Planet Fitness of the extreme sports world. Move forward with my idea for a podcast. It’ll help me find my voice and will be a good way to connect with athletes. My website traffic is at a point where I should start reaching out to advertisers. I was told to make sure that whatever partnerships I form, to ensure that they’re true to the Nerve Rush brand. A huge thank you to Michele at BeSpoke, who I shared the presentation stage with, and to all of the House of Genius staff and panelists: Spencer, Gustavo, Caroline, Ellen, Brian, Jennifer, Ishrat, David, Shireen, Colby, Genna and Jorge! It’s been almost a year since I last pressed publish on this website. A lot has happened since October 2013 – I left my job at HubSpot. I moved from Boston to New York City. I started a marketing agency. I got married! I also traveled to Italy, ran my first marathon, and joined a rock climbing gym. It’s been a wild and amazing year. While I’ve written regularly online for the better part of a decade, either for myself or on behalf of clients, I still feel uncomfortable pressing the publish button. Discomfort can lead to some amazing places. I think about all the times in my life when I’ve felt uncomfortable – from studying abroad in Nepal to public speaking or starting my own business. I could wax philosophical on the many events and experiences that have caused my heart to skip a beat, my stomach to lurch, and beads of sweat to accumulate on my forehead. But it’s shortly after those times of discomfort when I’ve grown the most, where I’ve felt the most alive. As 2014 draws to a close, I pledge to embrace discomfort more wholeheartedly, to publish more of my thoughts and to (hopefully) inspire you to do the same. Snuggled up against the Alps, Switzerland is bordered by Germany, France, Italy, Austria and Liechtenstein. Not only is it one of the richest countries in the world according to GDP, but it also has the highest wealth per adult of any country in the world. It’s two largest cities, Zürich and Geneva, have been ranked as having the second and eighth highest quality of life in the world. But Lana and I weren’t there to visit the cities. 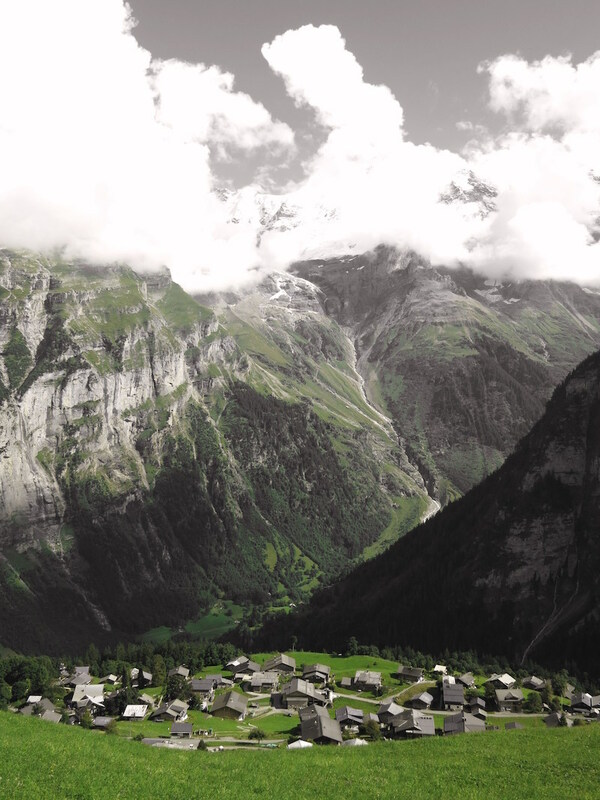 We had a specific mountain village in mind, Mürren. 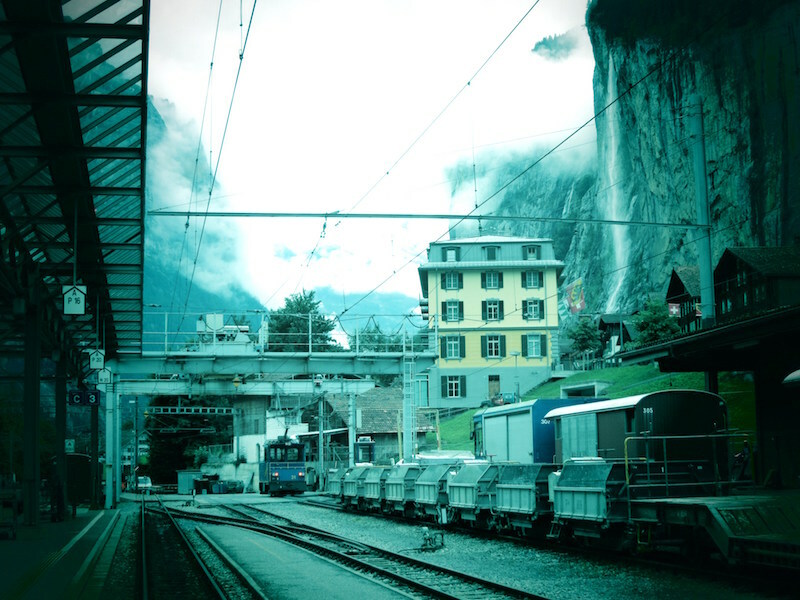 From Zürich, we traveled by way of Berne and Interlaken to Lauterbrunnen. At Lauterbrunnen, we connected to an aerial tramway that quickly climbed its way up the side of a cliff, presenting a spectacular, storybook view of the Lauterbrunnen Valley. Mürren is a traditional Walser mountain village, unreachable by public road. The village sits atop a jaw-gapingly steep crest of the Lauterbrunnen Valley, offering unparalleled views of the Bernese Oberland. The towering peaks of Eiger, Mönch, and Jungfrau proudly jut out from the Swiss glaciers, briefly revealing their peaks when the weather is clear. It’s one of my favorite places on Earth. 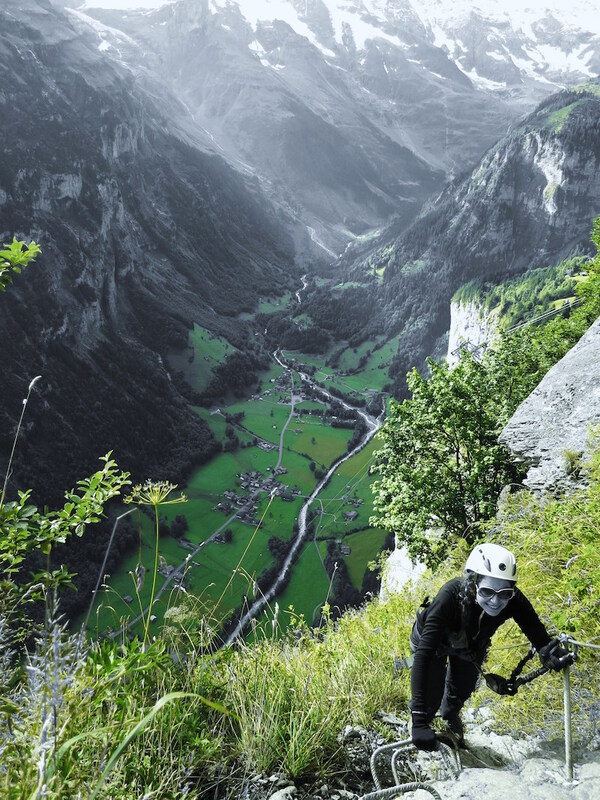 And for the few hundred active BASE jumpers in the world, the Lauterbrunnen Valley is a paradise of easy access and multiple exit points. There are sixteen distinct jump spots for BASE jumping, conveniently rated for their tracking and wingsuit difficulties here. Don’t think I’ll need to consult that list anytime soon. We watched BASE jumpers exit the aerial tramway and jog down a nearby hill. 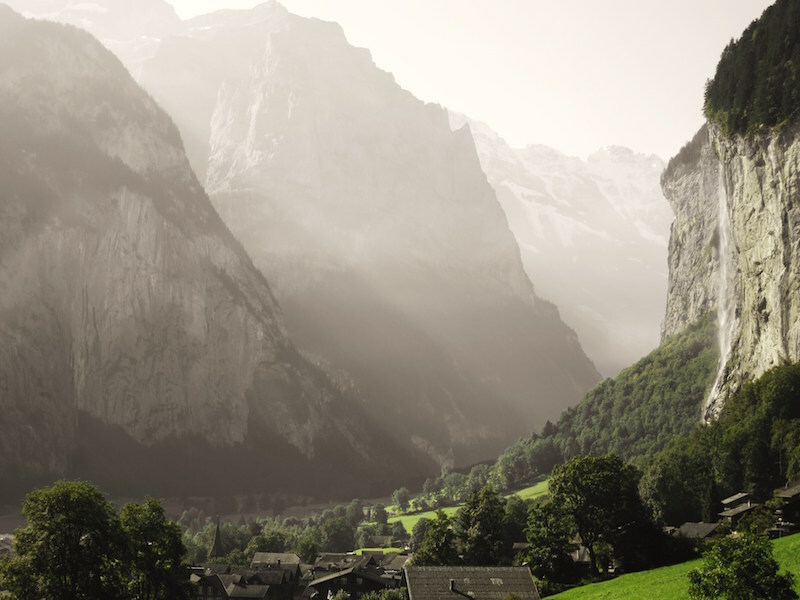 Last year, 13 people died BASE jumping just in the Lauterbrunnen Valley. 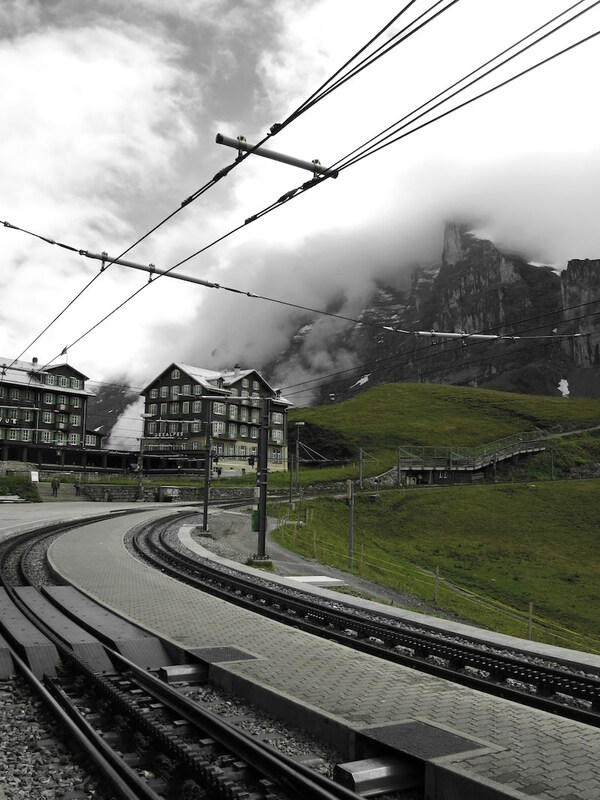 Later that morning, we took the Jungfraubahn up and around the valley to Kleine Scheidegg, hopping off the train and donning our backpacks. From Kleine Schiedegg, we hiked 4-5 hours up to the base of the Eiger’s north face, one of mountaineering’s most iconic climbs and a challenging and sometimes fatal feat even for the world’s best mountaineers. The Eiger’s concave face occasionally punched through the clouds, presenting a stark and imposing landscape. 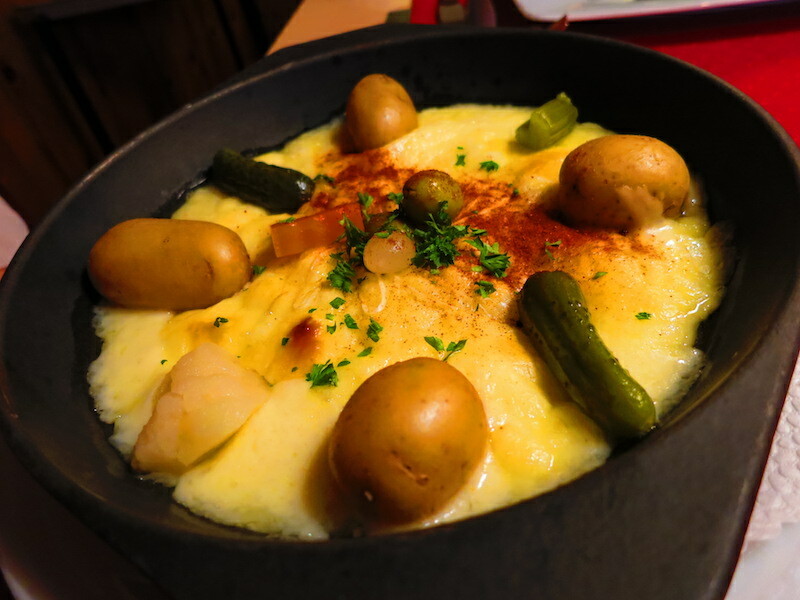 That night we celebrated with one of Switzerland’s heartiest dishes, Raclette. Raclette cheese is melted in front of an open fire. Someone regularly scrapes off the melting side of the cheese, serving it with small, firm potatoes, gherkins, pickled onions and sometimes dried meat. 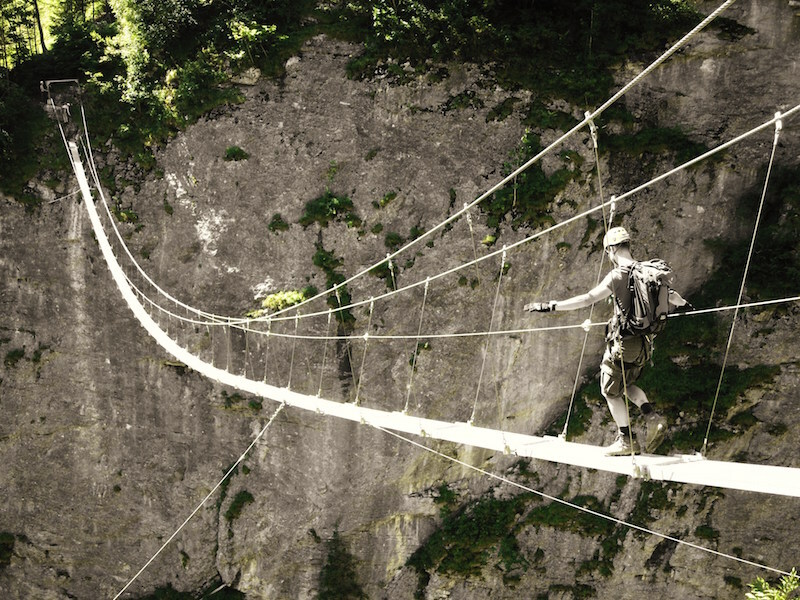 The next day, we hiked what’s known as a via ferrata, Italian for “iron road” and a popular type of protected climbing route found in the Alps and a few other spots around the world. The essence of a via ferrata involves a steel cable which runs along the route, periodically fixed to the rock every 10 to 30 feet. Using a special via ferrata kit, climbers can secure themselves to the cable, scrambling up and down iron rungs, pegs, carved steps and even ladders and bridges. This particular via ferrata was rated a K3. It was steep and dropped off 1800 ft. straight down at points. The suspension bridge was one of my favorite parts. 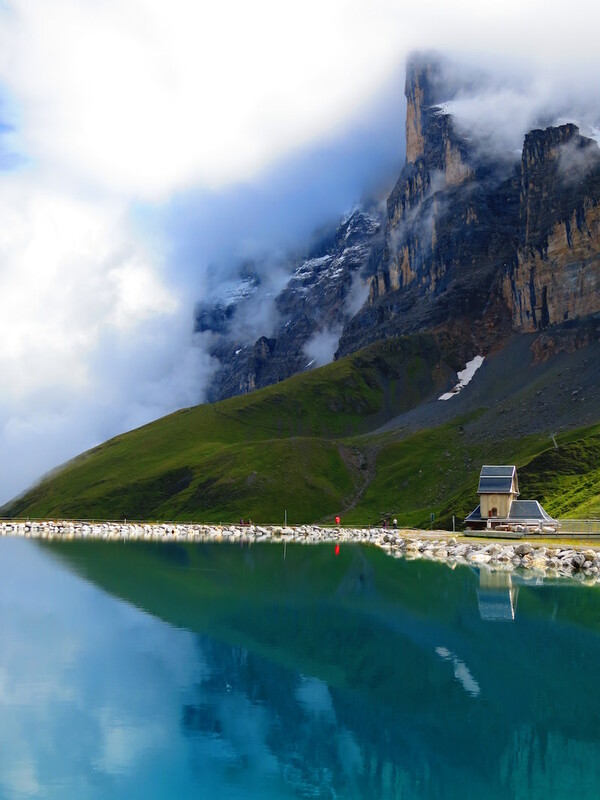 If you like fresh mountain air, one of the most topographically stunning landscapes on Earth, infinite hiking in the summer and skiing in the winter, BASE jumping and other extreme sports and hearty farmer feasts, then Switzerland is the country for you. 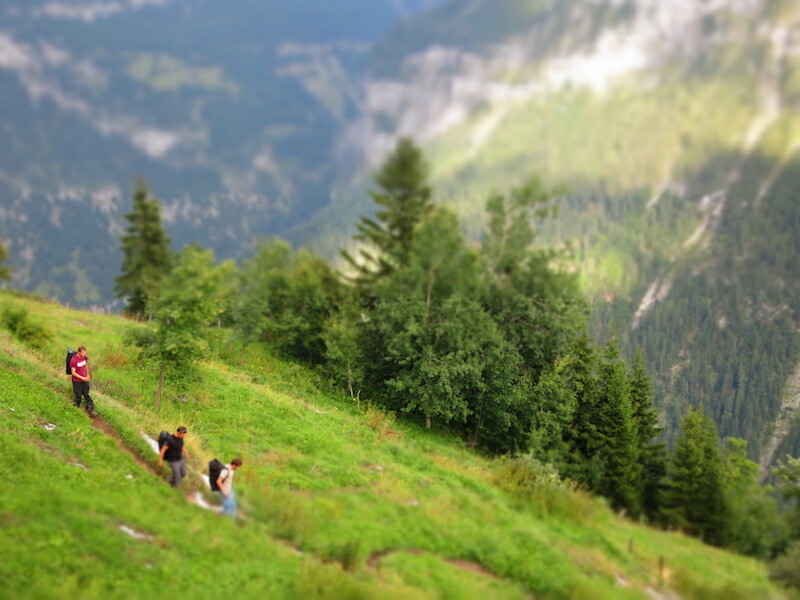 This last photo is of Gimmelwald, on a final hike back up to Mürren. Lana and I left on a Thursday night, on Icelandair’s red-eye out of Boston. We landed in Iceland around 6:00a. It was too early for the bus, so we lounged around Keflavik International Airport for a couple of hours. I fell asleep in a contorted position across two chairs, while Lana made a discovery. 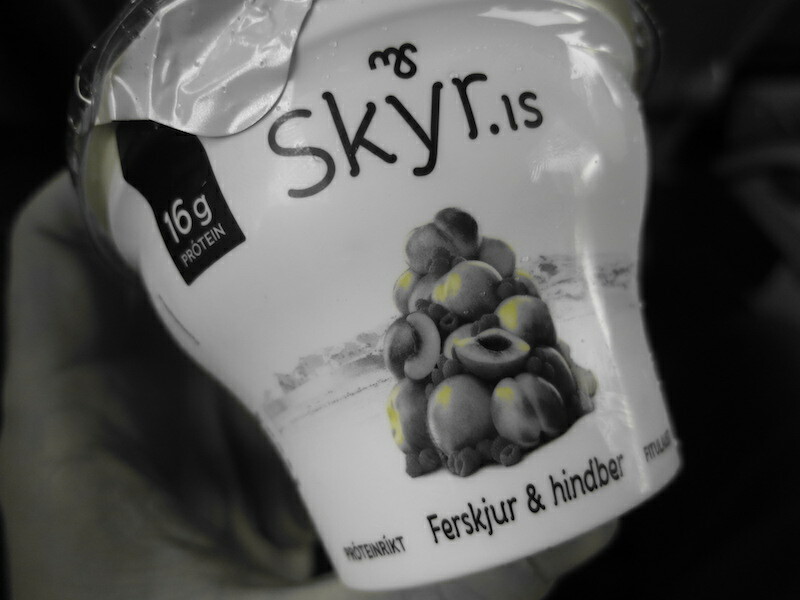 Skyr is a cultured dairy product, similar to strained yogurt, that has been part of Iceland’s culinary history for over 1000 years. It’s yummy, and healthy. Lots of protein, very little fat and sugar. Tastes like Greek yogurt but has a smoother consistency. 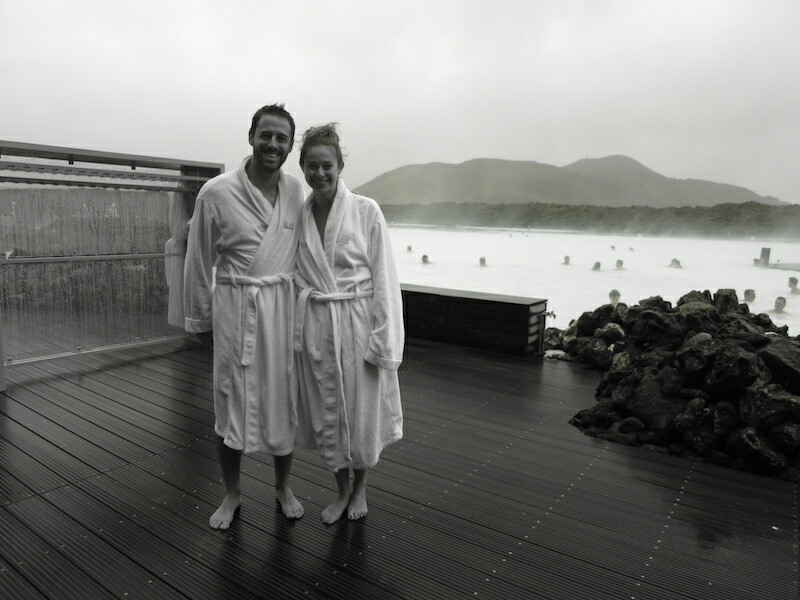 At 8:30am, we took a bus to the Blue Lagoon. So basically, a large outdoor pool that’s infused with silica and sulphur, heated to around 100 degrees. Good for the skin! Later that morning, we took a bus into Reykjavik. Lana had rented us an apartment just off the small capital’s most popular street, Laugavegur. 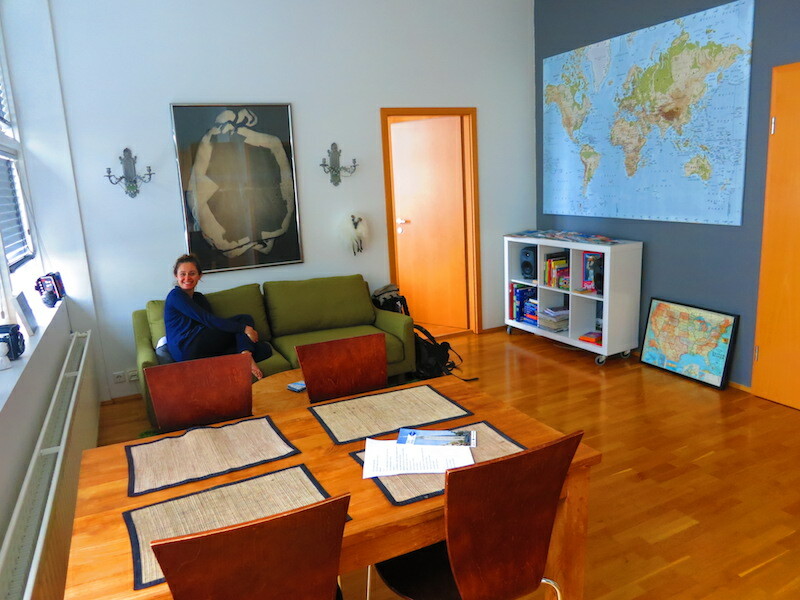 Believe it or not, this small and cozy one-bedroom apartment was cheaper to lease than Reykjavik’s backpacker hostel. Later that night, we hopped on a snorkeling tour of Silfra, a tectonic rift caused by the divergence of the North American and Eurasian plates. Silfra runs through a lake, some of whom’s rift fingers offer phenomenal underwater visibility. Silfra is fed by cold, clear glacial water. By the time that water melts off from the glacier and snakes its way down into the lake, it’s between 50 and 100 years old. Ian, our snorkeling guide, is an Englishman who spent nine years in the military and has since forged a globe-trotting career in scuba diving. He’s been diving all over the world and recently came from a stint in Thailand. Ian helped us put on our dry suits. He said that the tightness around the neck should feel about as strong as a ficticious dwarf strangling you. Made sense to me. He also encouraged us to periodically take our snorkels off to swig a few gulps. I obliged his request. Underwater, the Earth cracks open into a rocky abyss, and the algae looks like green Silly String. 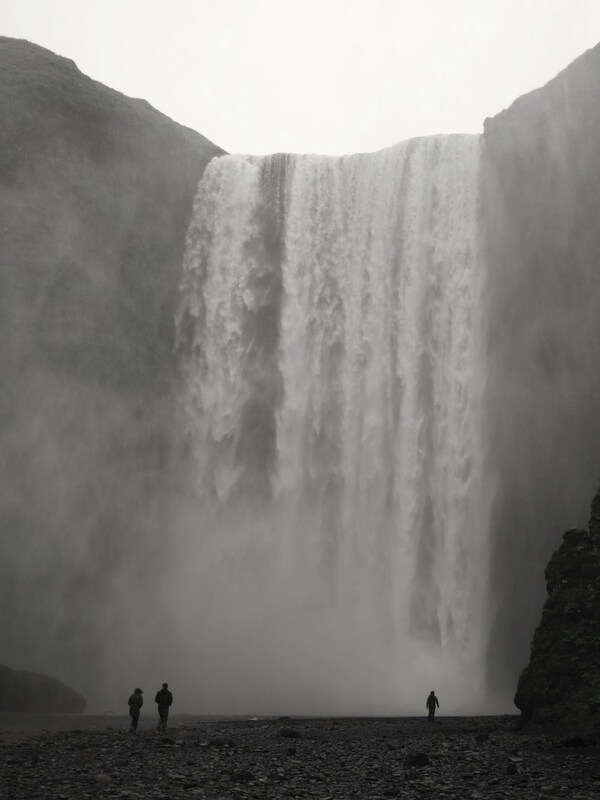 The next day, Lana and I explored Reykjavik. It was crowded. Many folks had come in from around the country for Reykjavik Culture Night, an annual celebration with music and beer and hot dogs and all kinds of Icelandic fun. We walked around the city. We ate hot dogs. We watched part of the Reykjavik Marathon. We walked around a lake and witnessed German bachelor party shenanigans. I photographed a stilted juggler. Lana and I ate curried lobster soup and walked around the old harbor. 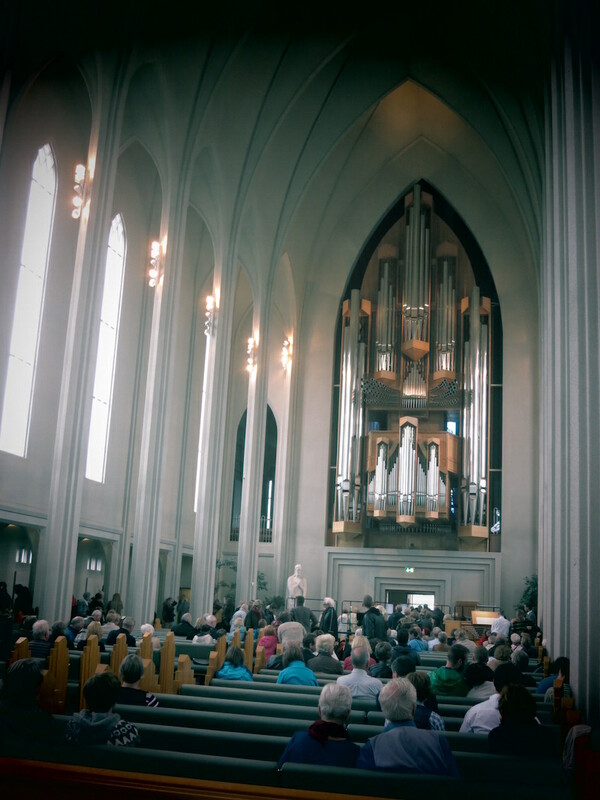 We walked into Hallgrímskirkja church. Later that night, we met up with a friend of mine who was in Reykjavik for the race. After a series of White Russians at a Big Lebowski-themed bar, the night blurred into a series of hot dogs and beer, fireworks and electronic music. Dare I saw we danced the night away. The following morning, Lana and I followed a popular tourist route to the national park Þingvellir, the waterfall Gullfoss , and the geothermally active valley of Haukadalur, where we saw the Strokkur geyser intermittently erupt. The Icelandic horse has a fifth gait, the tölt. Also, once an Icelandic horse leaves the island, it is not allowed to come back. Non-Icelandic horses are not allowed into the country. 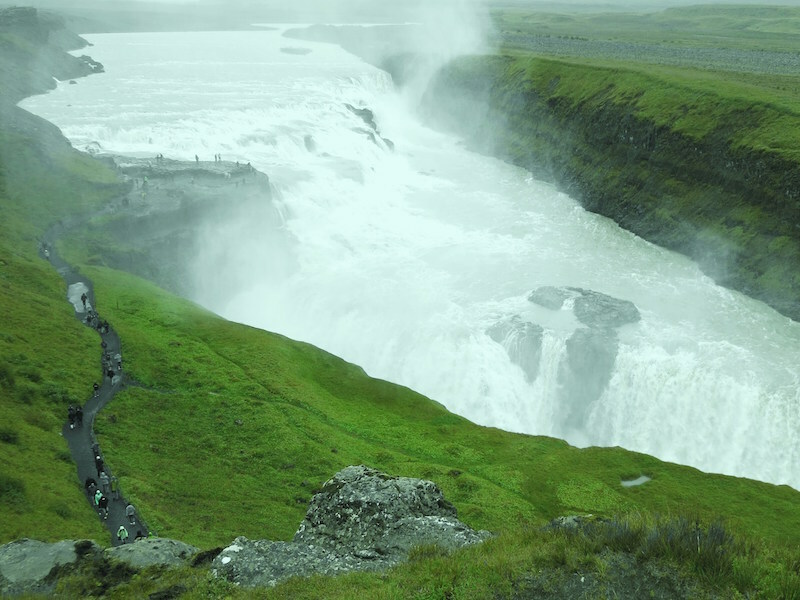 More than half of Iceland’s population does not deny the existence of elves. In fact, as new roads are lain, en elf expert is summoned to the scene. If the right evidence presents itself, the asphalt road will be rerouted to careen around the elf habitat. At one point it was illegal in Iceland to own a dog. On our last full day, Lana and I took a glacier and waterfall tour. The waterfalls are wild to approach. Completely isolated from other remarkable geology, they dominate the surrounding landscape, a seemingly endless and brooding blend of grays and greens. 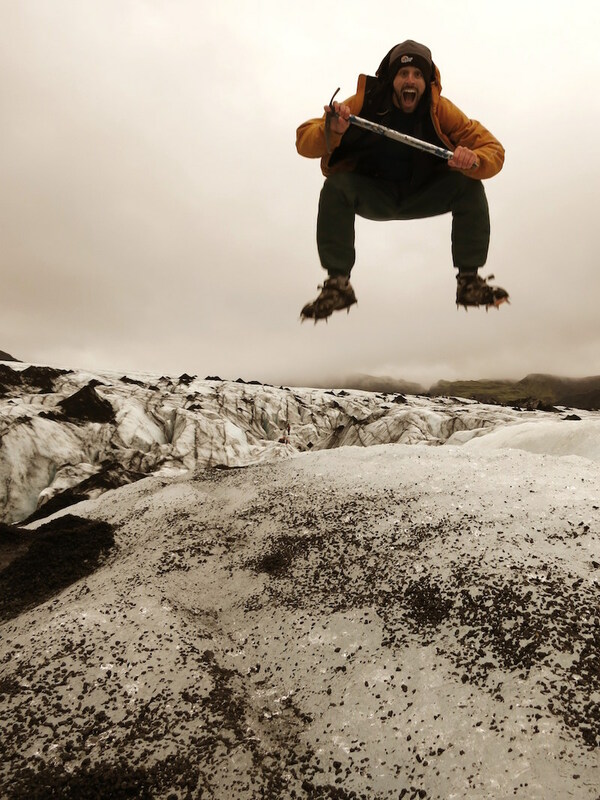 On the glacier, I chatted with our guide, Otti, about mountaineering and ice climbing opportunities in Iceland. “Winter is a good time for us mountain lovers,” he said. It wasn’t winter, but I having a pretty good time. We’d travel to the Central African Republic! A few of my former coworkers have been there. It sounds interesting. Maybe a 5 day trip? I’m sure we could fly through Paris or Frankfurt. Wouldn’t be too difficult. You in? My last job took me to many countries in Africa–Djibouti, Algeria, Zimbabwe, Angola and Nigeria. That said, I know very little about the Central African Republic. Former coworkers had traveled to Bangui, the country’s capital. Their thoughts were neither overwhelmingly positive or negative. Lively morning markets, a decent Lebanese restaurant, broken sidewalks–a unique location but not the kind of experience you’d share on TripAdvisor as a must-have. I recently watched The Ambassador, a darkly comic and gut-wrenching documentary that peels back the curtain of global political corruption and exploitation in Central African Republic. It’s a real-life spy movie, rife with black-market credentials and hidden cameras. The protagonist is Mads Brügger, a quick-thinking Danish filmmaker and journalist. Brügger goes undercover as an inquisitive, well-spoken and groomed Liberian diplomat and businessman, with a goal to build a match factory in Central African Republic. He wits his way through friendships and negotiations, ultimately revealing blood diamond and diplomatic title brokerage corruption. It’s the kind of story that only a long, hot shower can wash off. Hunter S. Thompson once said that “absolute truth is a very rare and dangerous commodity in the context of professional journalism.” The documentary is gonzo journalism at its finest. It’s told from a first-person, in-the-trenches perspective. To break the story, Brügger became the story. Another example of gonzo journalism is Emmy-nominated VICE, an HBO series that seeks to “expose the absurdity of the modern condition. It’s a new kind of reality TV, one that showcases political assassinations in the Philippines, brings Dennis Rodman into North Korea and uncovers underground heroin clinics in Mexico. If you haven’t seen VICE or The Ambassador, step outside your media comfort zone for a night and see just how absurd our modern condition really is.